These individuals will work as key elements in reviewing job specifications and negotiating pricing and agreements with contractors and suppliers. They will coordinate the legal, technical and financial professionals, and attend board meetings as necessary. Our Project Managers will frequently be at the site observing progress and coordinating the various trades, dealing with scheduling issues and conflicts, among other things. The Project Manager will, subject to the authority of the Owner, make day-to-day decisions necessary for the timely completion of the project. He will review applications for progress payments and change orders prior to Ownership authorization. This individual will attend meetings as necessary and produce reports and recommendations as necessary throughout the construction process. These individuals will assist the Project Manager in the preparation of regular progress reports, attend job meetings, maintain project files and handle correspondence. The Project Assistant will monitor payments, adherence with job schedules, Contractor Insurance, Payment and Performance Bonds, Licenses and Permits, and Compliance with Regulations, including Federal and New York City lead based paint protocols. Our in house corporate accountant helps prepare and deliver financial statement packages for each project. They diligently review and analyze transactions from the building’s Accounts Receivables and Accounts Payable associates to ensure they have been accurately coded and recorded. Additionally, our team will identify, investigate, resolve and/or report all discrepancies between project completion percentage and invoicing requests and prepare project budget worksheets, as needed for clients, and prepare monthly financial statements. Tal Eyal is a founder and President of FS Project Management, a subsidiary of FirstService Residential dedicated to overseeing residential and commercial construction projects. Since its founding in 2005, FS Project Management has performed hundreds of millions of dollars in capital improvement projects across the tristate area. FS Project Management’s forté is providing turnkey services for property managers and building owners who lack the knowledge and technical skills needed to successfully oversee projects. From project conception, to bidding and contract negotiations, through selecting architects, engineers, and contractors, and overseeing construction, the company also assists property owners with budgeting, financing and resident and staff communications. 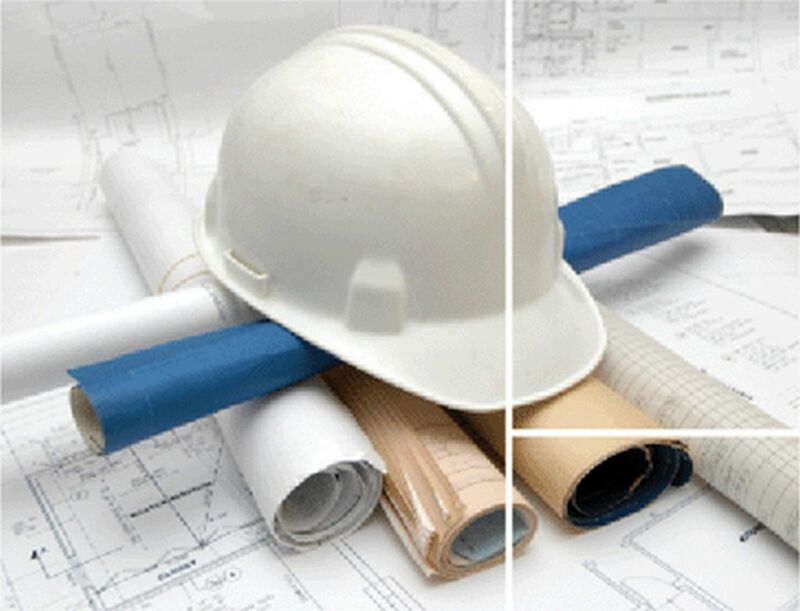 Projects include commercial to luxury residential condominium conversions, cogeneration, boiler and HVAC installations and upgrades, lobby and common area restorations, large-scale window replacements, Local Law 11/waterproofing projects, individual apartment renovations, as well as landscaping and green roofs. Tal also is a founder and President of FS Energy, a subsidiary of FirstService Residential that provides energy management and advisory services to the company’s clients in order to reduce consumption, costs and emissions while improving property values and quality of life. Since its creation in 2010, FS Energy has helped FirstService Residential clients save over $25 million in energy costs while reducing the carbon footprint of the company’s New York portfolio by more than 15 percent. FS Energy’s energy purchasing program saves clients, on average, 13 percent on electricity and natural gas costs compared to rates charged by local utilities. With operations in New York, New Jersey, Florida, Pennsylvania, and Illinois, FS Energy is among the largest aggregators of residential electric and gas in the United States. Tal also serves as Executive Vice President of FirstService Residential New York. In this role, he is responsible for the expenditures, operating efficiency and strategic capital planning for the company’s physical offices, as well as for business development. Tal joined the company in 1990 as one of its original property managers. Having amassed extensive experience over a 25 year career in real estate, Tal was instrumental in developing FirstService Residential into the largest residential management company in New York City. A Registered Apartment Manager (RAM) and New York State licensed real estate broker, Tal holds a bachelor’s degree in finance from a joint New York University/New York Institute of Technology program, and earned a certificate from New York University’s Schack Institute of Real Estate. He previously served as a captain in the Israel Defense Forces. John D. Foley is an integral part of the FS Project Management team. As Vice President, he lends his knowledge and expertise to the company by leading complex, multi-million dollar projects. Before joining FS Project Management in 2002, John was with Montroy Andersen Design Group and Belea Group International, both New York City architectural design firms, where he worked extensively with world renowned companies such as A.I.G., Paine Webber, Givaudan, and TIAA-CREF, among others. Mr. Foley’s hands-on attitude and involvement have led many of our projects to a successful conclusion, the end result being many satisfied clients who do not hesitate to recommend our services. Born in Ireland, John graduated with merit from the Cork Institute of Technology in Cork City, Ireland, with a diploma in architecture. He received the school’s annual Award for Outstanding Portfolio. Dean Carlaftes joined FS Project Management in 2014. Prior to joining the team, Mr. Carlaftes was the President of Nassau Custom Remodeling, catering to the commercial and residential market. Working as a project manager and employee development coordinator, Mr. Carlaftes successfully managed projects ranging from interior apartment renovations and lobby remodeling to commercial space build outs and exterior restoration. With a proven track record of building successful client relationships and managing extensive capital projects, Mr. Carlaftes brings a considerable amount of experience to the firm. He obtained a bachelor’s degree in Psychology from the State University of New York at Buffalo and served four years with the United States Navy. Michael Rood joined FS Project Management Corporate Accounting in 2011. Mr. Rood is responsible for both FSPM’s corporate financial statements as well as the financials for each ongoing projects. Prior to joining FSPM, Mr. Rood spent 11 years as Assistant Controller of a major distributing company in New Jersey. Prior to that, he was employed as Assistant Controller, Corporate Accountant and Controller for various businesses. Mr. Rood also serves as Corporate Accountant for FS Project Management’s sister company, FS Energy, LLC. Peter Stopherd joined the FS Project Management team after having a career in financial management. Along with project oversight, Peter’s strengths include communication with contractors and local government agencies. Peter manages all projects within our energy division and various capital improvements project. While overseeing both project types, Peter is responsible for ensuring all necessary documents and permits are submitted timely and accurately, and work schedules are diligently followed. He also assists in budget proposals, and effectively negotiating with contractors to meet deadlines. In addition, Peter is knowledgeable in areas such as bid analysis, creating spreadsheets for cost comparisons, reporting progress updates to the appropriate parties, submitting change orders, and conducting weekly meetings to address outstanding issues related to each project. Sudeep Paudel joined FS Project Management in 2016. Mr. Paudel holds a MS degree in Construction Management from New York University, with B.S. in Civil Engineering. Prior to joining the team, Mr. Paudel worked as a NYU Graduate Student Employee, with a focus on the renovation of the New York University Center for Urban Science and Progress, a 500,000 sq. ft. building located at 370 Jay Street worth $ 200 Million. The renovation involved a transformation of the underutilized office building into an innovation hub for Engineering, Applied Science, Urban science, Digital Technology, and Digital Media Arts. Mr. Paudel’s influence was very vital to this project and his gathered reports have been used in NYU Building Information Modeling research programs. Mr. Paudel holds OSHA certification and is proficient in various software, such as AutoCAD, Autodesk Revit, Navisworks, Building Information Modelling (BIM), Microsoft Project Professional, Primavera P6 scheduling software, and many more types of Construction Management software. Mr. Paudel’s engineering background, along with his construction management skills, make him a key asset to the FS Project Management.